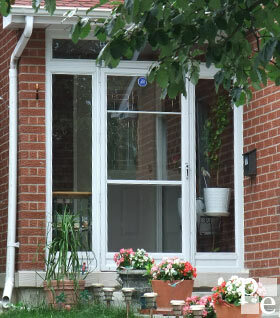 Can homeowners go directly to the factory and buy porch enclosure at factory direct prices? Unreal. Some home improvement contractors may say they buy directly from the factory and they have factory direct prices. And that's true, but the true is that ALL porch enclosure home improvement contractors are factory direct buyers any way. If home improvement contractors try to attract your attention by using "Factory Direct Prices"... well, it means that may be they have nothing else to offer ;). Let's consider situation when factory has in-house sales department and capable to sell products retail. Is it affect product price? The answer is YES, product price become higher. You may ask: how come? And the answer is simple: In order to provide service to the customers someone should keep operation expenses. In case of many resellers you may see competition between each other when trying to sell you the same product. The result of this competition is better service and fair price for customer. So, keep in mind that operation expenses exist and never goes away completely. You may help yourself by taking more than one porch enclosure estimate from different companies to pick better service and good price. With these friendly reminders, you can now get instant online porch enclosures estimate or schedule free in-home porch enclosures consultation with best in the field of porch enclosures in order to unearth your dream of beautiful with low maintenance, energy efficient porch enclosures!